AKIPRESS.COM - Russia expelled 23 British diplomats on Saturday in a retaliatory move over British accusations that the Kremlin orchestrated a nerve toxin attack on a former Russian double agent and his daughter in southern England, Reuters reported. 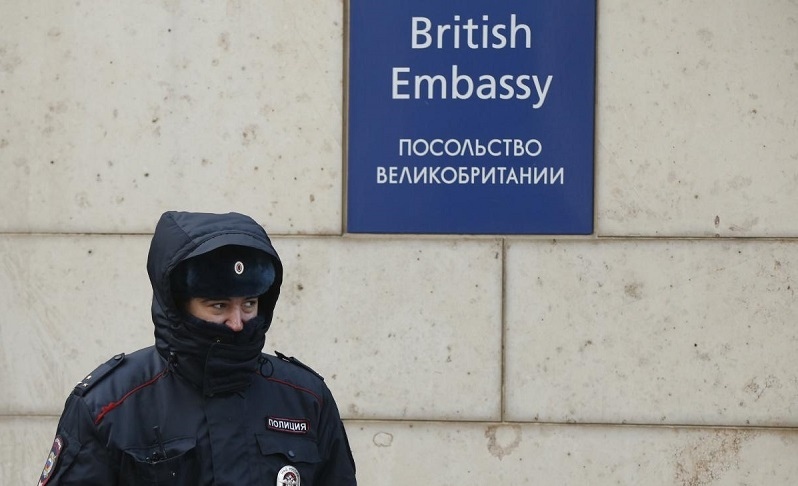 Escalating a crisis in relations, Russia said it was also shutting down the activities of the British Council, which fosters cultural links between the two countries, and withdrawing agreement for Britain to operate a consulate-general in St. Petersburg. The move followed Britain’s decision on Thursday to expel 23 Russian diplomats over the attack in the English city of Salisbury which left former Russian spy Sergei Skripal, 66, and his daughter Yulia Skripal, 33, critically ill in hospital. The ministry said Moscow’s measures were a response to what it called Britain’s “provocative actions and groundless accusations”. It had warned London it stood ready to take further measures in the event of more “unfriendly steps”. The Russian Foreign Ministry summoned the British ambassador, Laurie Bristow, to a meeting on Saturday morning in central Moscow at its Stalin-era headquarters during which he was informed of the measures. Bristow told reporters afterwards that the crisis had arisen after “the attempted murder of two people using a chemical weapon developed in Russia”. Britain had only expelled the Russian diplomats after Moscow had failed to explain how the nerve toxin had got to Britain, he said. “We will always do what is necessary to defend ourselves,” the ambassador told reporters.